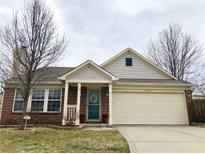 Below you can view all the homes for sale in the Delaware Crossing subdivision located in Fishers Indiana. 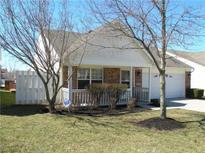 Listings in Delaware Crossing are updated daily from data we receive from the Indianapolis multiple listing service. To learn more about any of these homes or to receive custom notifications when a new property is listed for sale in Delaware Crossing, give us a call at 317 979 0009. All of this and award winning Hamilton Southeastern Schools! MLS#21628240. Carpenter, REALTORS®. Home Sweet Home!This amazing RANCH, MOVE-IN READY,SPACIOUS home offers a HUGE Family Room w/ CATHEDRAL CEILINGS w/ a wood burning fireplace.This WELL-MAINTAINED home has it all;HUGE WALK-IN PANTRY, WALK-IN CLOSETS in ALL bedrooms,Kitchen /Dining Room combo, located on a cou- de- loop.Enjoy your retreat to the master bedroom Suite with dual sinks and garden tub.Enjoy sipping your coffee while your sitting out back in your large wooden deck( new 2017) overlooking your large fully fenced in back yard or entertain guests in your back yard while your listen to music from your connected home audio system(included).This home has a 2 year old HVAC, A/C, Water Heater and deck.NEW kitchen backsplash and stainless steel kitchen appliances.What are you waiting for?This home won't last long! MLS#21626967. F.C. Tucker Company.